Fly freely down technical trails with the precise fit, smooth ride and waterproof protection of the Salomon Wings Flyte 2 GTX®. Dual density molded EVA midsoles provide superior cushioning, stability, and motion control. ACS system provides stability and dampening and works together with the AC Muscle, a soft EVA midsole Sensifit™ cradles the foot from the midsole to the lace system, providing a stable, precise, snug fit all around the system. The shoe also includes Endofit™, an internal fit sleeve designed to hug the foot in exactly the right places and improve feedback and footwrapping. 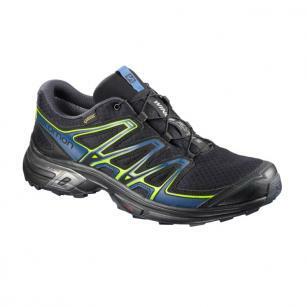 Molded into the shoe, reducing weight and brings more comfort. Quicklace™ lacing system - a single Kevlar® string fed throughfriction-free eyelets. As you pull, the lace closes evenly. Lock in place with the stopper and stow Everything in the lace pocket. 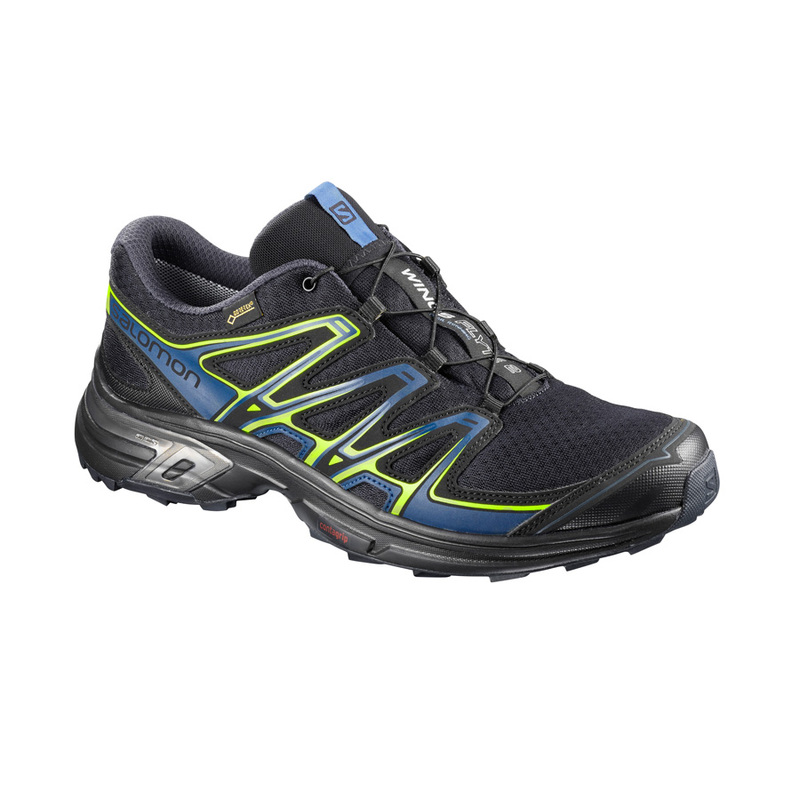 Fast, light,comfortable and won´t loosen while you run. Delivering optimal traction on varied surfaces, Salomon's Contagrip® outsoles use the ideal combination of specialized rubbers specifically for the Wings shoes.